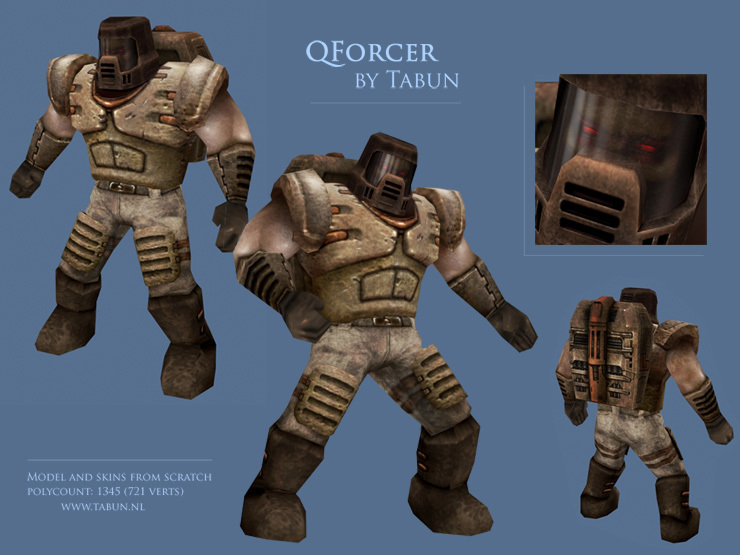 This model is loosely based on the Quake Enforcer enemy, and its intended use is with the Generations Arena Q3A-mod. It's fun trying to capture the general idea of a Quake enemy, because it allows for a moderate amount of creativity. Quite a few parts of the original have smudged and stretched skin, which can be interpreted in various ways. Keeps projects like these from getting dull. Perhaps, if we ever get round to it, this will be used in a single player project for Q3. 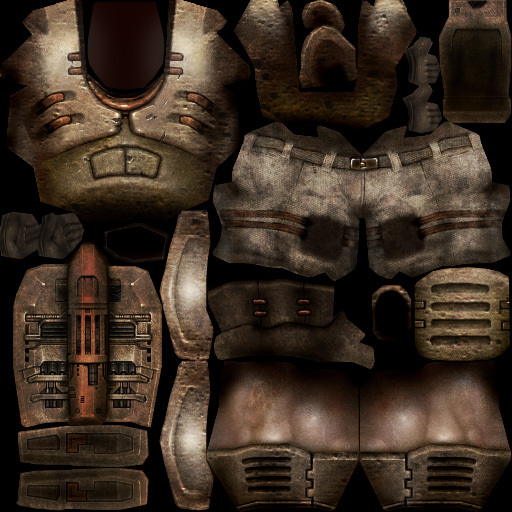 I had done one Q3PPM model before, and before that, my only venture in full game character modelling and animation had been a Q2PPM (based on the UFO enemy unknown power suit). Although I had a lot of fun with these as I recall (one is a 'secret', you will probably see it here later), so I went ahead and made another one. The animations are, mostly, Steed's. Ofcourse I made the taunt myself and adjusted many of the keyframes to match the model. You can download the model, with sounds and everything, for Q3 here.